A charming Christmas gift. 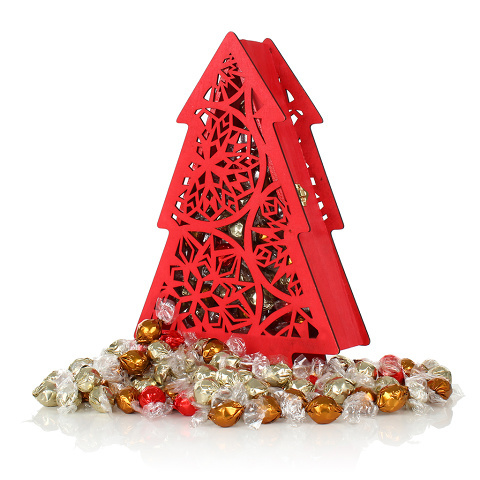 An ornately designed Christmas tree shaped box full to the brim of delicious chocolates. Once the chocolates are gone, perhaps fill the box with fairy lights for a stunning centrepiece!